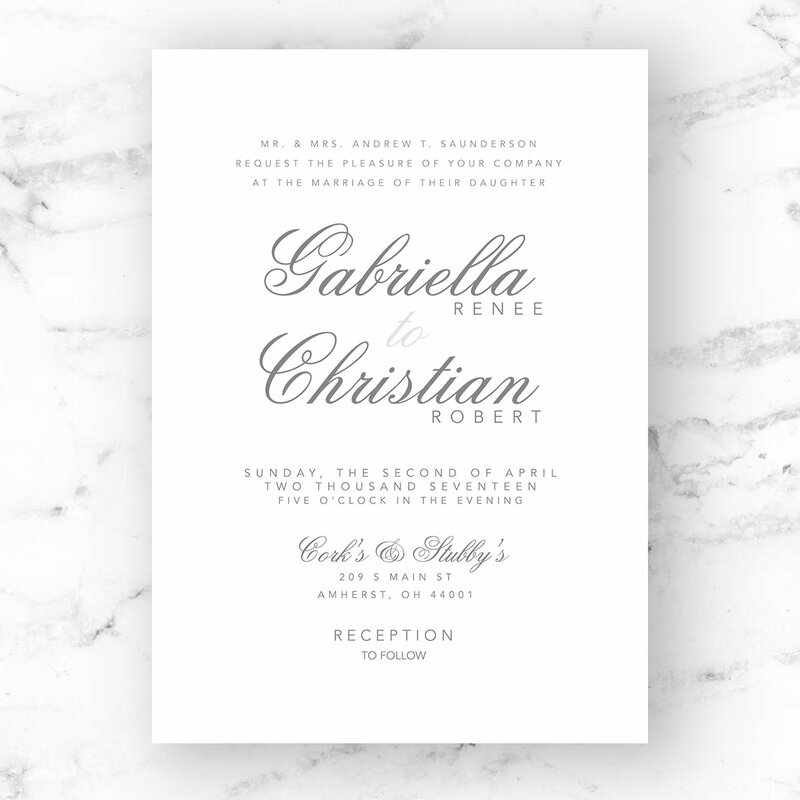 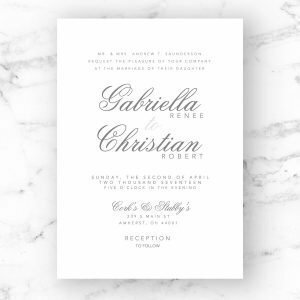 The Gabriella Suite is one of the most elegant designs in the shop, accented with a romantic script font. 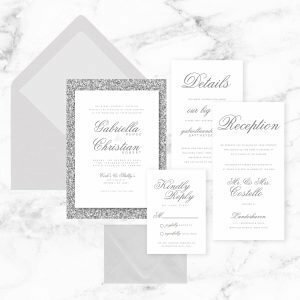 The complete suite features a soft, silver color throughout each piece. 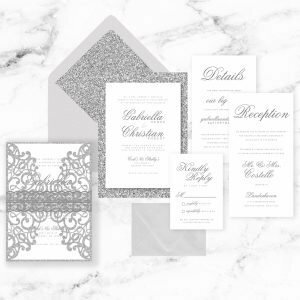 Glam up the Gabriella will silver glitter accents to make the suite pop. 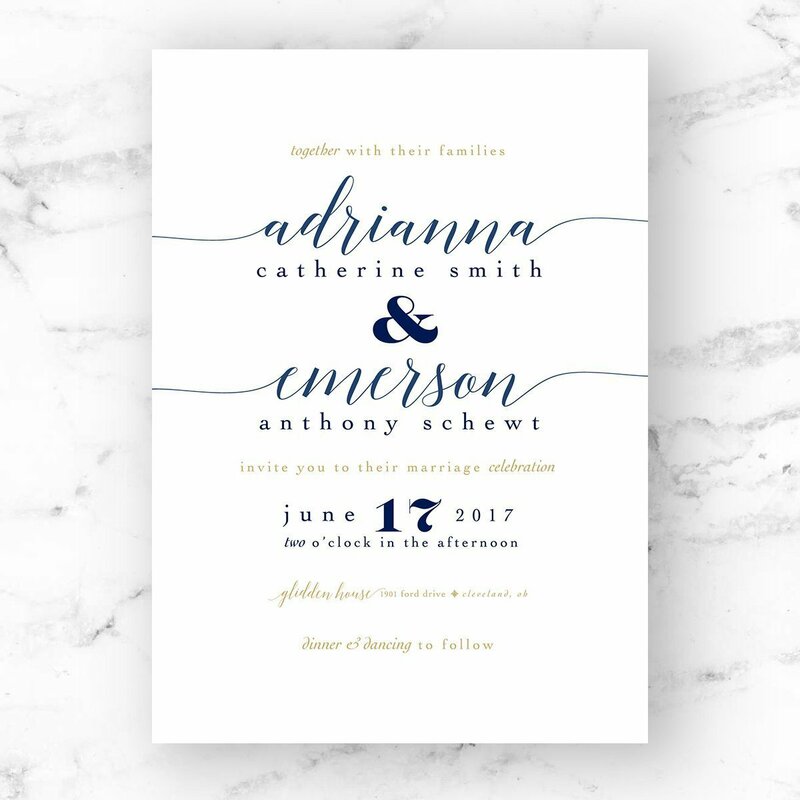 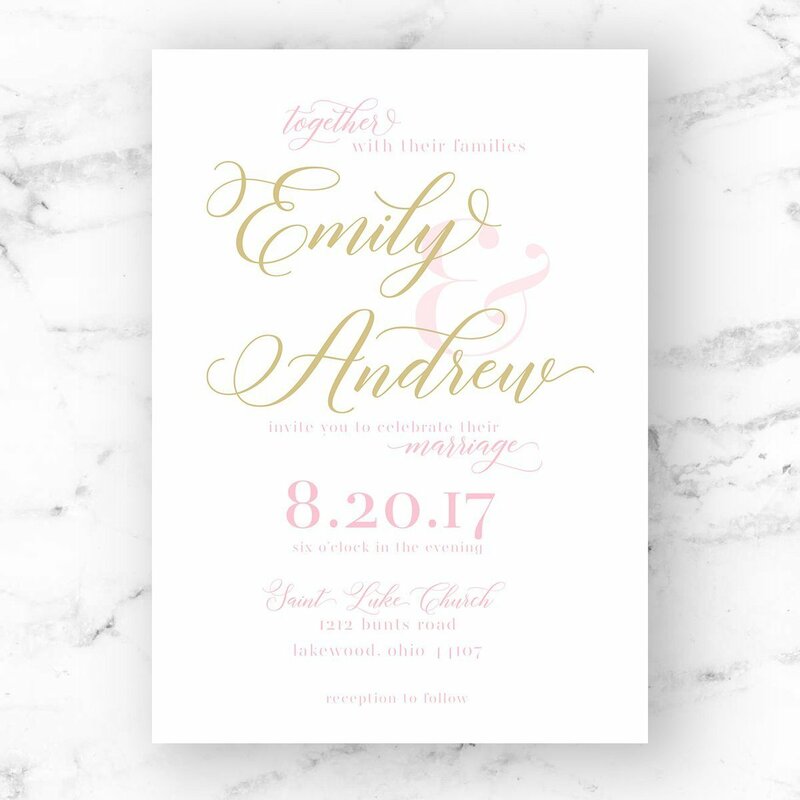 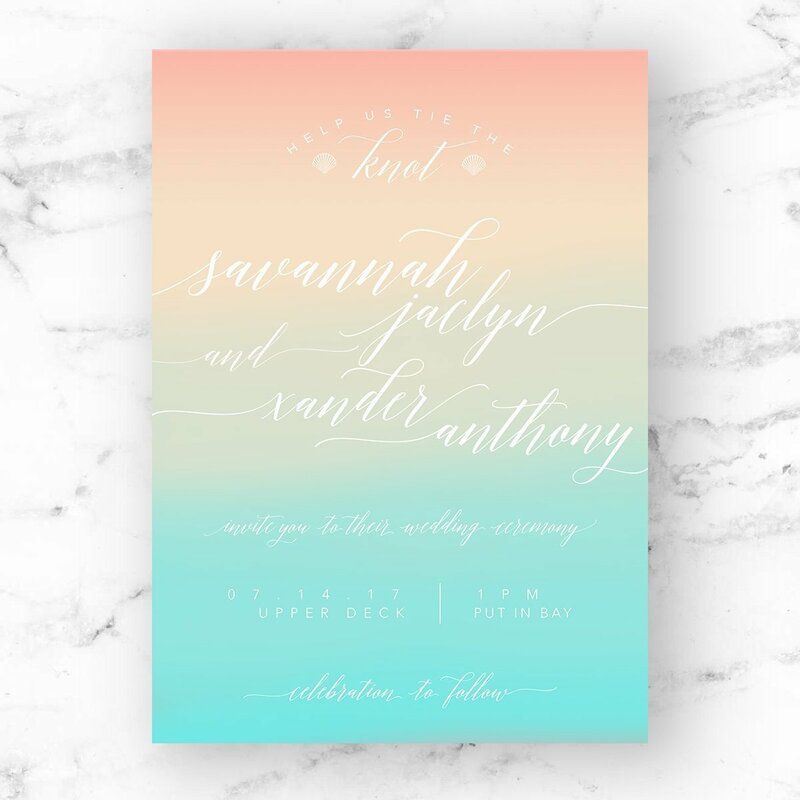 This suite can easily be customized to fit any color palette to fit within your wedding colors.